Looking across Grasmere to Helm Crag (Lion and Lamb) and Allan Bank. Photo by Dave Brown. 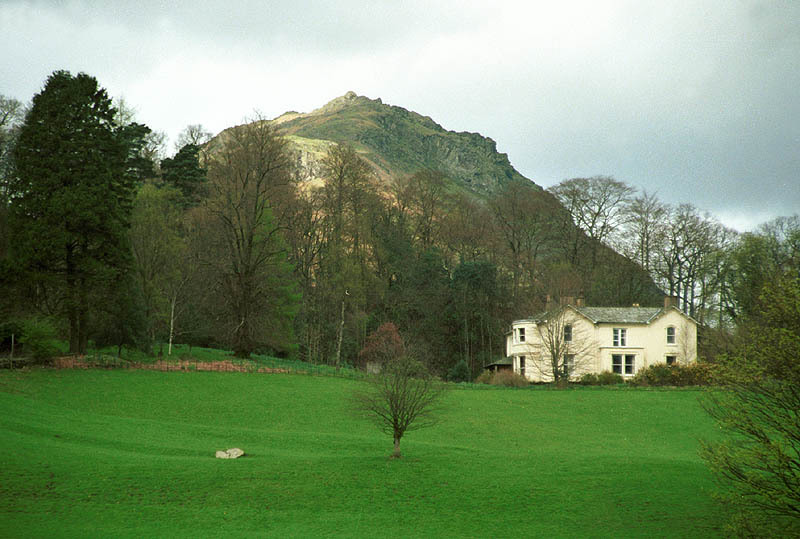 Allan Bank in Grasmere, is a large house that William Wordsworth had condemned as an eyesore when it was being built. However, in 1808 after he had married, he and Mary moved here with their three children John, Thomas and Dora. Also living with them were Mary’s sister Sara Hutchinson, and their literary friends Thomas de Quincey and Samuel Taylor Coleridge. They stayed here for two years during which time they had two more children, Catherine and William, but they moved on because the chimneys smoked too much, and they fell out with the landlord. 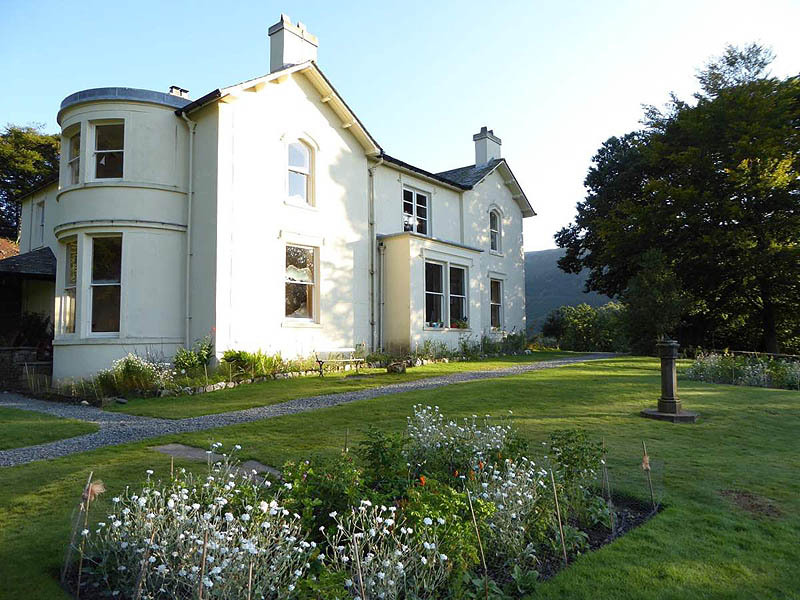 After 34 years at Crosthwaite Canon Hardwicke Rawnsley, one of the founders of the National Trust, retired in 1917 to Grasmere, where he had bought Allan Bank in 1915. He died in 1920, leaving Allan Bank to the Trust. 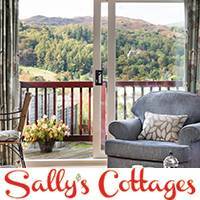 Apart from its literary connections, the house itself is not particularly interesting, but it is in a fascinating situation overlooking Grasmere lake, and has charming park-like land below it, and craggy fell behind. 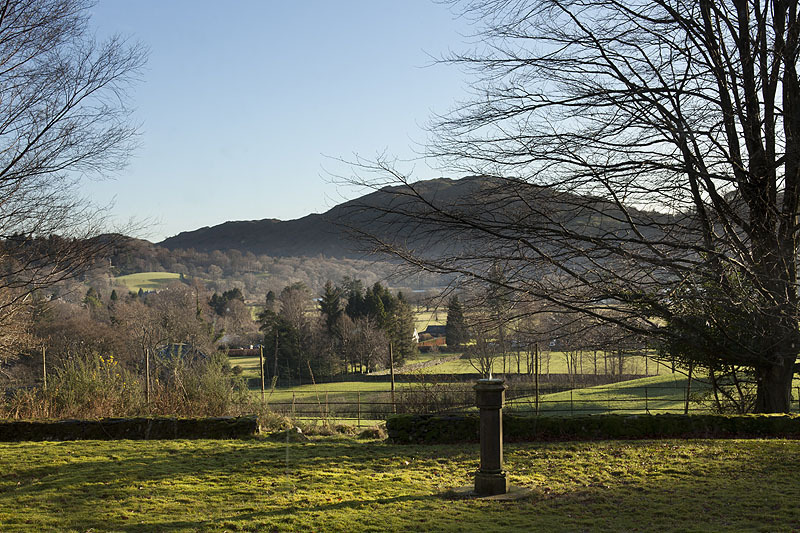 In March 2011 there was a fire at Allan Bank – one of the largest fires Grasmere has ever seen. Since then the National Trust decided that the house should be restored and open to the public. Visitors will be able to discover the secrets of Wordsworth’s former home now open to the public for the first time in more than 200 years. Allan Bank is a Georgian gem of a building which is perched on a rocky hillside above Grasmere village. The house has undergone an extensive restoration project following the fire and visitors may find some surprises when they walk through its doors and explore the wilderness of its gardens this Summer. They won’t see pristine rooms decorated as they would have looked in Wordsworth’s day – the building has been left as a blank canvas so its visitors can help decide its future. Each of the rooms of the house has been given a theme. 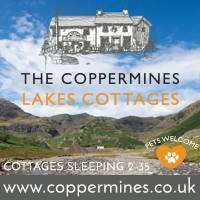 The famed artists of the Heaton Cooper family, who have a gallery in Grasmere village, have helped create the art room where visitors will be inspired by sketches of Allan Bank and the Lake District never seen by the public before. In the room where Wordsworth once slept we’ll be encouraging visitors to help us design the planting for the gardens, while song lyrics and famous quotes will inspire the writing on the wall –literally – in the literature room. Budding interior designers can get arty and even help influence the future paint colours of the interior, and there will be some intriguing ways of bring the outdoors indoors in yet another of the interactive rooms. 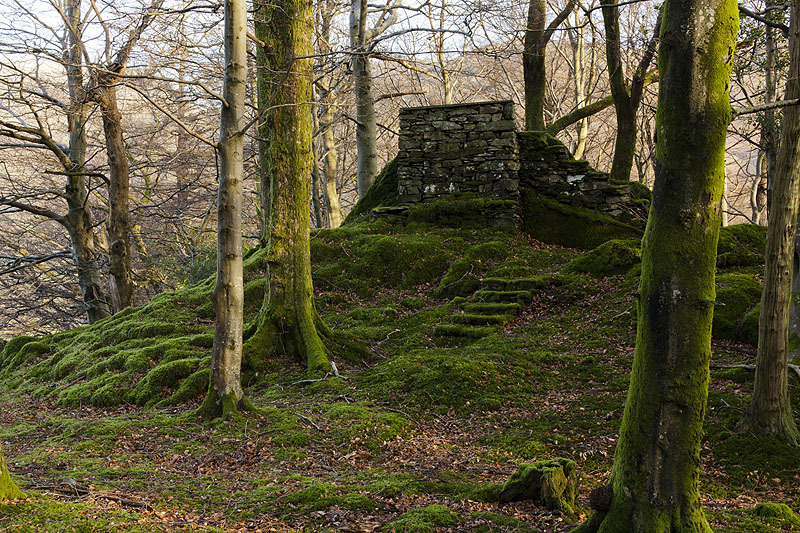 Jeremy added: “This was a building and a landscape which inspired not only William and Dorothy Wordsworth, but has also influenced other writers and artists, film makers and photographers. 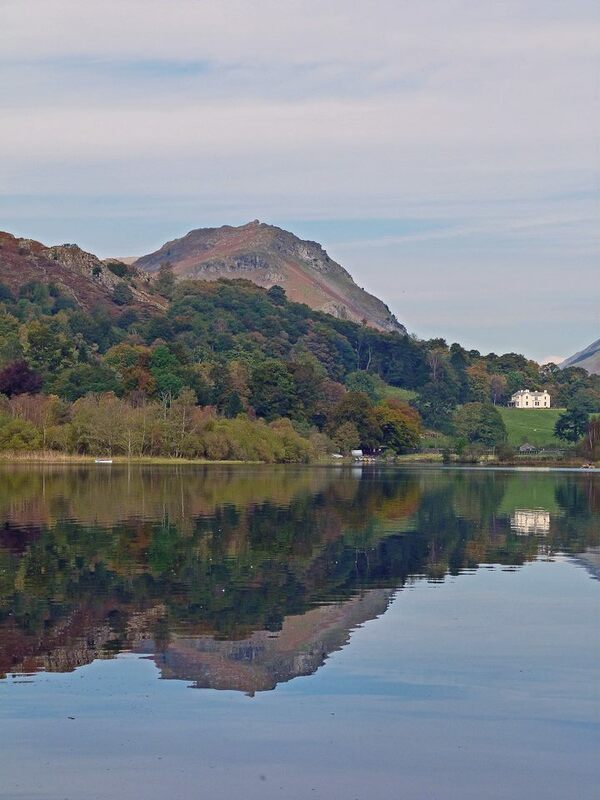 Another of Allan Bank’s famous residents was Canon Hardwicke Rawnsley, one of the founders of the National Trust, and it was Grasmere and the proposed sale of the island in the middle of the lake which made him act and led to the creation of the Trust. 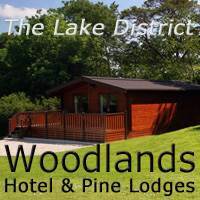 We want all of our visitors to love this place as much as they did.